Twitter has agreed to acquire mobile advertising startup TapCommerce for just under $100 million (around £58 million, AU$105 million), the company confirmed in a statement. TapCommerce specializes in mobile retargeting and re-engagement advertising - two technologies Twitter hopes will enable it to increase mobile revenue. With TapCommerce, Twitter hopes to provide advertisers with technology that can improve the social network's app re-engagement, real-time programmatic buying, and measurement capabilities. Twitter says it believes the addition will help it to provide advertisers with a way to acquire new users through app installs, to engage existing users, and to provide more relevant ads to consumers. Since its launch in 2012, TapCommerce built a solution that processes more than 15 billion targeted ad impression bids each day, across 50,000 apps worldwide. TapCommerce had generated more than $11.7 million (around £6.8 million, AU$12.3 million) in funding from investors Bain Capital Ventures, Eniac Ventures, Metamorphic Ventures, Nextview Ventures, and RRE Ventures. The social networking company named Anthony Noto the company's Chief Financial Officer. 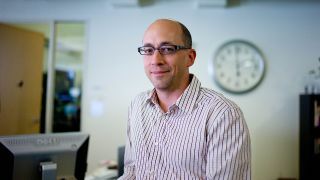 Noto helped lead Twitter's IPO when he served as the co-head of Goldman Sachs' Technology, Media and Telecom Investment Banking group. Current Twitter CFO current, Mike Gupta, will be transitioned to a new role as SVP in charge of strategic investments. This week, Twitter announced it would roll out mobile app promotions that will appear as normal tweets and include a link escorting users directly to the Google Play or iTunes App store. Last September, Twitter acquired MoPub, a mobile advertising network, for more than $300 million (around £174 million, AU$315 million). Which 10 social analytics companies should you know?